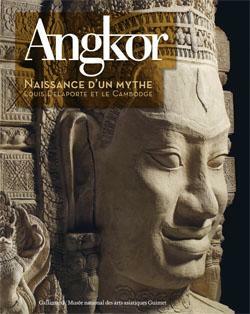 With this exhibition, the Musée Guimet looks back at the origins of the myth of Angkor – a myth created by French explorers in the 19th and early 20th century. The exhibition will show how the Khmer heritage was rediscovered and how the monuments of Angkor were presented to the public at the time of spectacular universal and colonial exhibitions. A selection of about 250 pieces from a rich collection corpus will be presented in the exhibition, including Khmer stone carvings from the 10th to 13th centuries, plaster casts, photographs, paintings and graphic documents of the 19th and early 20th century. Light will be shed on the nature of the first contacts between French explorers and the art of ancient Cambodia, centered around the iconic personality of Louis Delaporte (1842-1925), the great French explorer whose ambition was “to bring Khmer art into museums”. Included in the exhibition are pieces that were originally displayed in the galleries of the Trocadero Museum Indochina from 1878 to 1925, which are now regarded as the only remaining originals after having undergone extensive restoration works. For more information and related publications and conferences please visit the homepage of the exhibition.